It is – not perfect but with more than enough good things to be a very fine read. A lovely review, Jane. You’ve made me want to read it. This Trollope I have not read and I MUST read because of what you said..Trollope was as Victorian as it gets, but he had so much compassion, even for what was then considered a “fallen woman” – also I am very intrigued by the fact that she is not cast in a traditional mold of being repentant and despondent but just struggling to come to terms with her change of circumstances! It is a wonderful picture for a Victorian author, particularly one as traditional in many ways as Trollope. Carry isn’t always sympathetic, and she really does struggle and often despair, but her character always rang true. Even though this wasn’t your favourite Trollope, it’s interesting to hear how the novel illustrates the different aspects of his writing. Great review. Thank you – I really was struck with the way this book showed his perspective on Victorian society. Oh Trollope – I *must* read some Trollope! Even a bad Trollope sounds like it’s good! Yes, you must! And I should say this this is far from a bad Trollope and that I have yet to read one of those. There are so many of them out there. I’ve read a series of six novels and four stand-alones over that last year or so, and I still feel that I’ve only just begun. Lovely review. I’ve only read The Warden so far but this, although flawed, sounds great because it shows different aspects of his writing. I like what you say that he’s conventional but that he hopes for a compassionate society. Which is your favourite Trollope? Now that is an almost impossible questions. I’ve not really read enough to say, and I love different books for different reasons, but if you pushed me I think I’d pick the two Phineas books in the Palliser series. Thanks. My next will be Barchester Towers because I’ve got it already but I’ll keep the Phineas books in my mind. I’ve had such good luck with Trollope that I think I’d read nearly anything he wrote, or at least give it a real try. I will definitely be on the lookout for this one. And thank you for introducing me to the expression “curate’s egg” — I’d never heard it, but I have read many, many books that fit this description! I am sure I read this one but I really don’t remember it. It probably wasn’t one of my favourites either. It’s not top of my list, but I’m glad that I read and enjoyed it the once. Now you see I like Alice Vavasour. But then I love the whole of The Palliser sequence and it is probably time that I dug them out and read them again. I’m afraid I tend to neglect the lesser known Trollope but I can see that I shouldn’t. 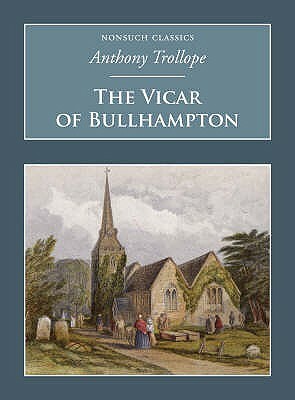 I suspect that if you are a Trollope fan then you are going to find something to enjoy in most of his works. What i can’t understand is the number of readers who don’t like him. What is wrong with them? I liked Alice in her own book, and I loved the Pallisers, but I didn’t think hers was a story that needed reworking. Mary’s story was different but she was like Alice in some ways. I suspect that you’re right – and I’ve no idea what’s wrong with those readers! I have Trollope on my list of books that I really must read – with The Complete Chronicles of Barsetshire purchased ready for the off. Your review of this one makes it sound compelling even although it wasn’t your favourite.